Located within Wellington’s exclusive Oriental Bay neighbourhood, Ohtel offers 5-star luxurious accommodation with award-winning service. It is close to major attractions and many theatres, restaurants and entertainment venues and boasts a harbourside location, free WiFi and an on site restaurant. 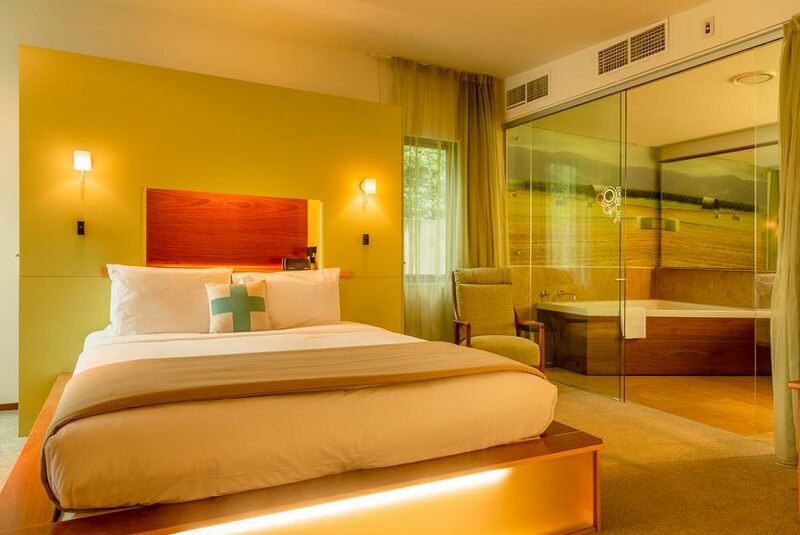 The rooms at Ohtel are individually furnished and feature Smart TV's and generous marble bathrooms and all beds have pure cotton linen. Minibars are stocked with a selection of boutique New Zealand products with complimentary tea and coffee.